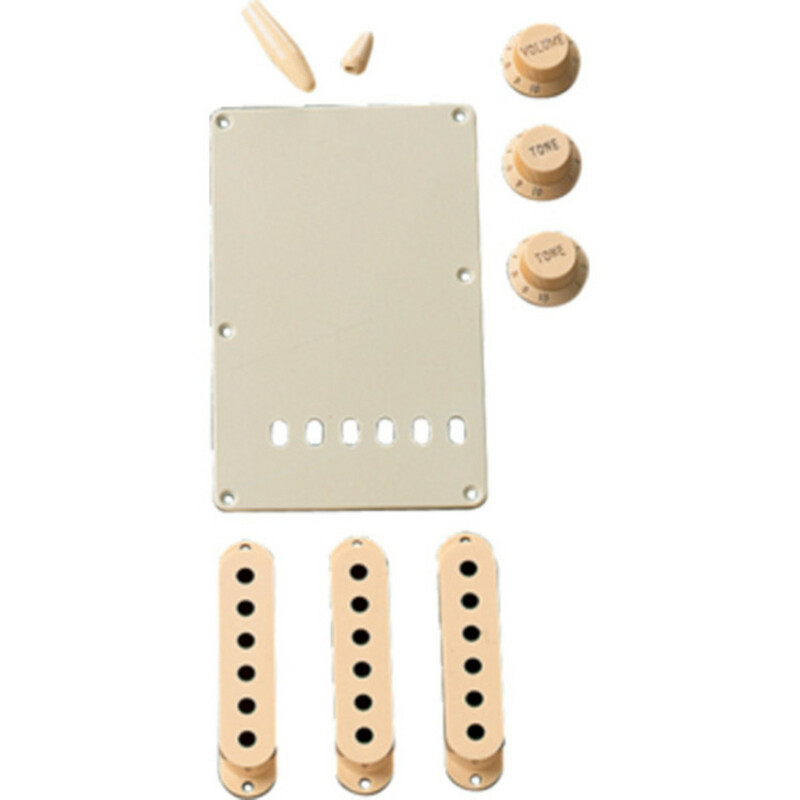 The easy way to change the look of your Stratocaster without spending a lot of money, Fender's Stratocaster accessory kits have everything you need to personalise your Strat. The kit includes volume and tone knobs, tremolo arm tip, switch tip, tremolo backplate and pickup covers, all finished in Aged White. Please note: The pickup covers will not fit SCN, N3 or Noiseless pickups.